If your family is like ours, things tend to get crazy during the week. Even though I work from home, the days tend to get busy and with a two year old…we all know that things never go as expected. So, while I can have the best intentions for dinner, it doesn’t always happen. 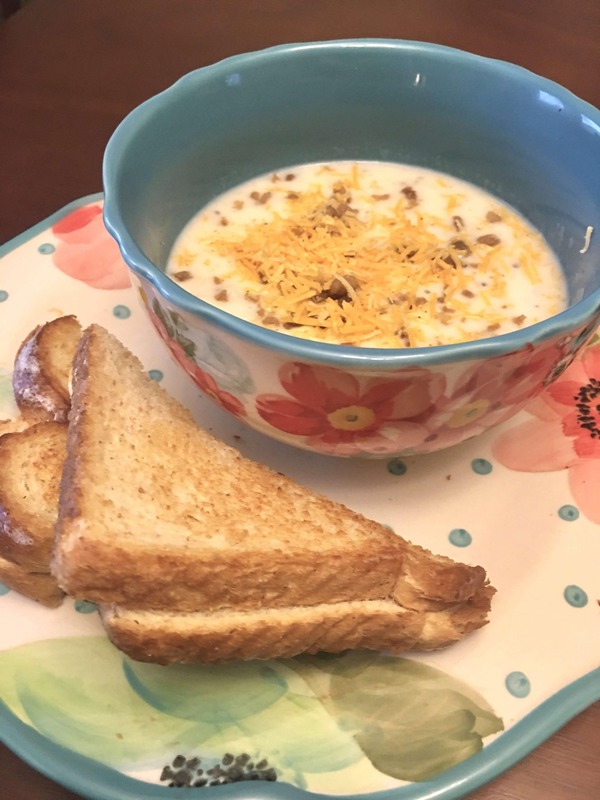 Recently, I discovered an easy and delicious weeknight meal and it’s become one of our favorite ‘go-to’ weeknight meals: Idahoan® Steakhouse® Soups. Last night, Josh had to work late because part of his job is plowing snow when the weather is bad. Since they were calling for snow here, he ended up working a 12+ hour shift, so it was just Levi and I here for dinner. I wanted to make an easy but delicious dinner, and what better for a cold winter night than soup? 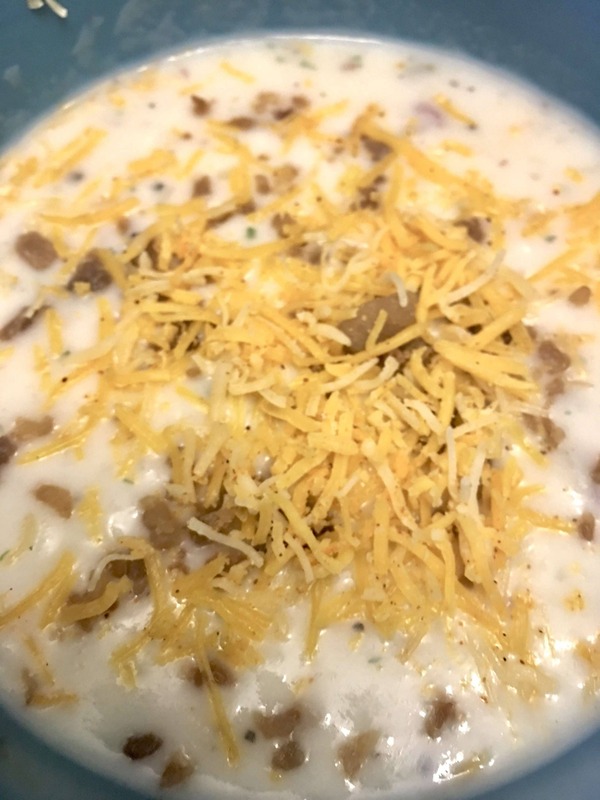 I absolutely love potato soup, but didn’t have all of the necessary ingredients to make it, plus I didn’t have the time to make it from scratch. 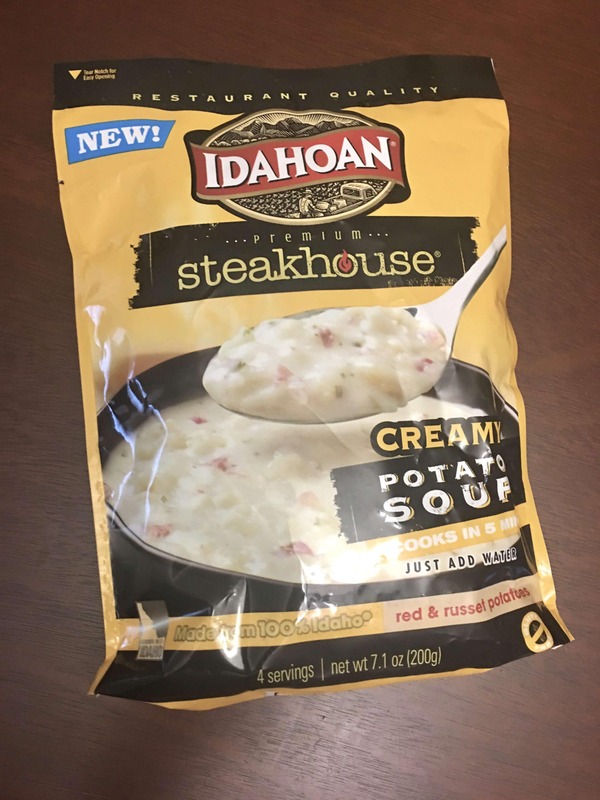 Then, I realized that I had Idahoan® Steakhouse® Creamy Potato Soup in our pantry. By simply adding the packet of soup to boiling water, stirring and let simmer for a bit- I had a delicious meal for us in under 5 minutes! I made us both a quick grilled cheese and dinner was served in under 30 minutes total- I call that a ‘mom win’! Levi preferred his soup plain, but I added a bit of garnish to mine. After tasting it, I realized it didn’t even need the garnishes, it was full of flavor by itself! It’s not everyday that you get delicious, steakhouse style soup in under 5 minutes at home! Idahoan® Steakhouse® Soups are available in four delicious varieties: Loaded Potato, Creamy Potato, Cheddar Broccoli and Cheddar Potato. What’s your favorite go-to weeknight meal?